Rose’s Gymnastics Olympic-style Training Center is one of the largest training facilities in North Carolina. Fully equipped with multiple pieces of all Olympic events for both women and men. Seperate equipment for recreational and competitive gymnastics. In addition to teaching specific gymnastics skills, we also help each student gain knowledge about various aspects of physical training using conditioning exercises to improve many fitness components such as strength, flexibility, speed and power. Classes are designed to build strength and improve coordination – components necessary in any sport or physical activity. 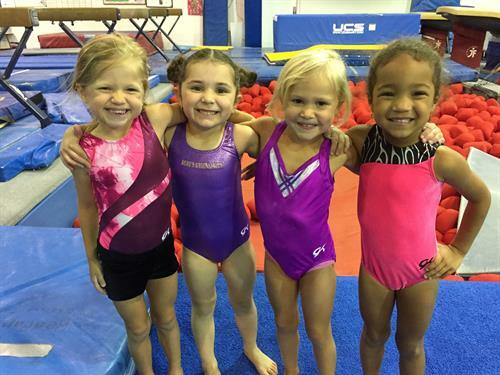 At RGTC we believe that gymnastics is the best sport to develop fitness through active fun. We provide a positive environment where each child is guided through an individual program of skill building using progressions and drills on various gymnastics events. Our objective is to introduce each child to and aid them in developing appropriate movement patterns for their age and ability in the sport of gymnastics.